To understand the heart that built Matthews’ Painting, one must know the roots. 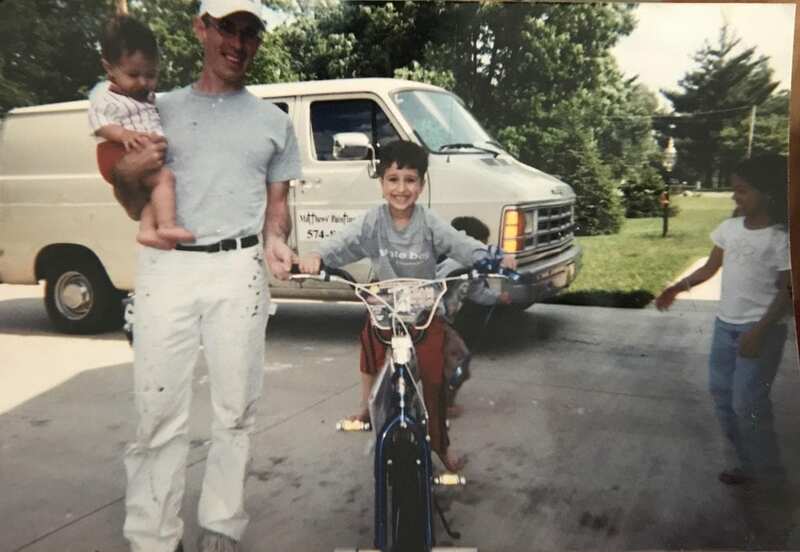 Growing up in good ‘ol Crete, Nebraska—a town of around 6000 people; my childhood was immersed in helping my father work on antique cars, along with maintaining around 100 acres of property: mowing, trimming trees, and maintaining heavy equipment. Much of my work ethic and eye for detail was developed throughout my youth and drilled into me as early as I can remember. I truly attribute many of my disciplines, and anything noteworthy; to the diligence of training and guidance of my parents’ investment in me. After High school, I moved into my own apartment and worked at a fast food restaurant called Taco Johns for a couple of years. During this time I also attended College of Hair Design—all in Lincoln, Nebraska. 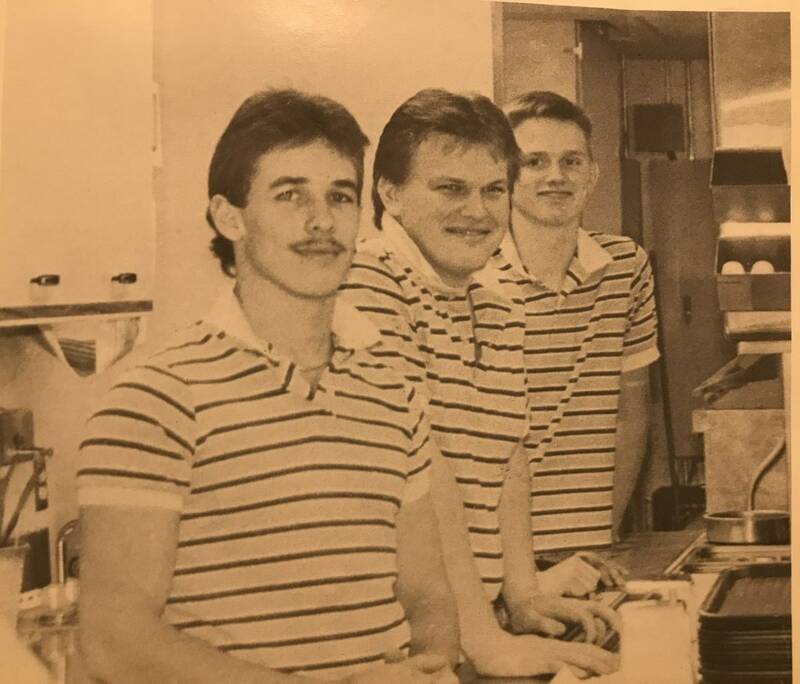 Performing tasks such as cashier, drive thru attendant, dish washer, and cook—I was considered the top candidate to manage a future store in Durango, Colorado. This position taught me a great deal about customer service and time management in a fast paced environment, while continuing to shape my work ethic; all of which I apply to my painting business to this very day. 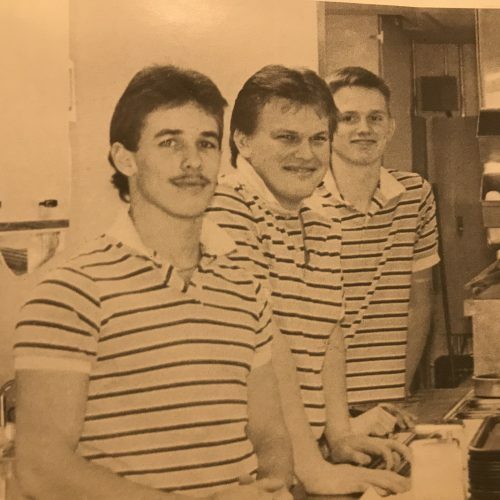 Realizing I needed to make more money to survive on my own, I began working a factory job at Walker Manufacturing in Seward, Nebraska for a couple of years—as a spot welder and fork truck driver in the distribution department. I quite literally carry a reminder of this job, as metal slag still remains imbedded into my finger from spot welding mufflers. 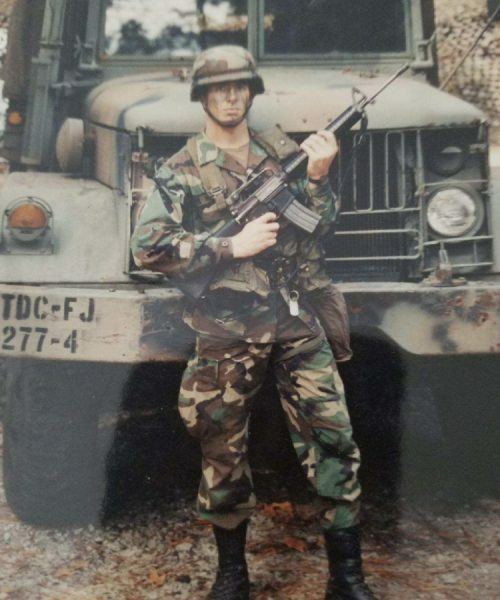 Realizing I did not want to work in a factory the rest of my life, I enlisted in the United States Army at 22 years of age and served active duty from 1991 to 1997. My basic training and Advanced Individual Training were in Fort Jackson, South Carolina. 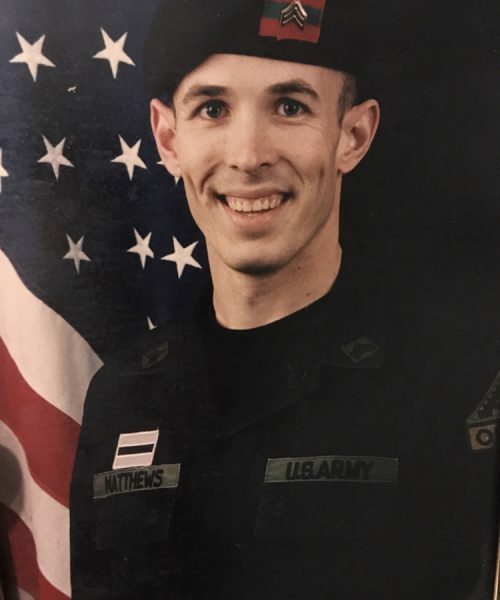 After Basic and AIT, I was stationed in Washington State at Fort Lewis North Fort working as a Unit Supply Specialist at a S-4 555th Combat Engineer Group for the next 2 years. There I worked my way up from an E-1 private to an E-4 Specialist in under 2 years, while attending Pierce College at night. I was then married in Washington State in 1993. I re-enlisted and spent the next 4 years in Hohenfels Germany. Within 1 month of arriving in Germany, I accepted Jesus Christ as my Lord and Savior. Ya know, one of those Born Again guys, or Bible thumpers as we are called. :). Although I was raised going to church, claiming to believe in God and Jesus—just like most everyone else in America; I knew I was a lost soul just playing the ‘game of religion’. It was not until God took me out of the country, all alone, that I started to feel a real need for Him as I was drawn to read the New Testament in my Bible. I started to understand who Jesus, the son of God, really was: fully God yet fully man, who required me to repent (turn away) from my sin and shallow belief and accept Him fully as Lord over my life —yielding all my will to Him. That was over 25 years ago. What a difference it was from just knowing about God and the Christian religion, to actually knowing Jesus Christ personally as my Lord and Savior. I now know where I am going to spend my eternity and I love to share my faith with all who will listen. I continued to serve as a Unit Supply Specialist for an Observer Controller Team and managed a supply room for 1-4 Infantry Battalion, while taking correspondence courses from Moody Bible Institute in Chicago. We trained soldiers who were getting ready to be deployed to Saudi Arabia or Bosnia, on how to stay alive in war and what they could expect. Two of my four children were born in Amberg, Germany: Amanda and Andrew—who are now in their 20’s. I was promoted to E-4 Corporal pretty quickly and attended a 30 day Primary Leadership Development Course before I was promoted to an E-5 Sergeant, all in under 5 years. Some of my awards in the Army included the National Defense Ribbon, Army Achievement Medal, Army Commendation Medal, Good Conduct Ribbon, Drivers Badge, Expert Marksman badge, and Expert Grenade Badge. 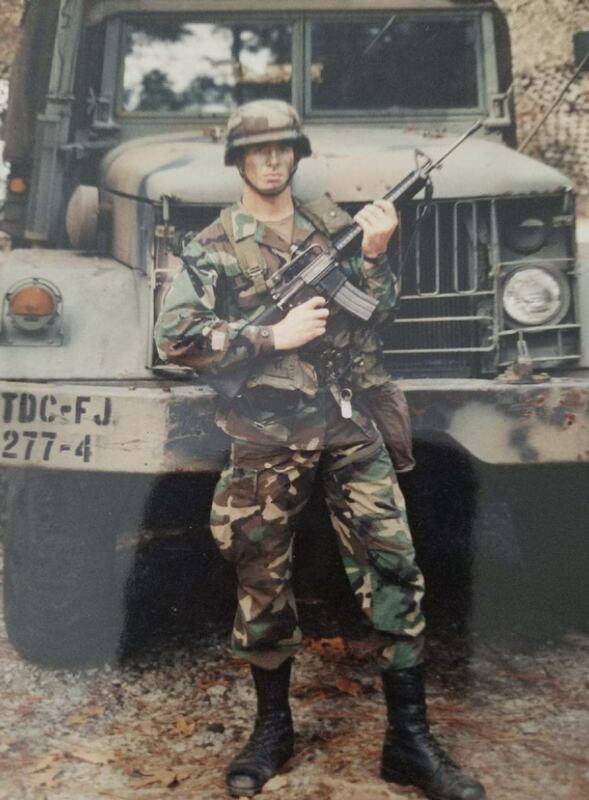 I was also 1 of 6 soldiers chosen from our battalion who qualified high enough scores in physical fitness, Army Correspondence Courses, and college to be accepted into the Special Forces. I declined pursuing Special Forces, choosing rather to be with my family full time and pursue Bible College. I left the Army with an honorable discharge in June, 1997. I arrived in Winona Lake, Indiana with an old car pulling a U-haul trailer from my hometown in Nebraska. 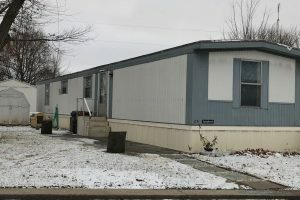 We lived in a basement of a Pastor’s house for a few months until we bought a mobile home. I attended a Bible Institute in a Baptist Church for a year. During this year, I painted for a local painting company that trained me how to paint professionally. 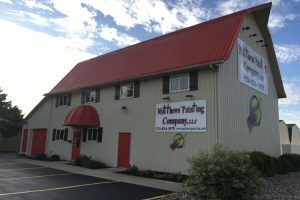 Rather than pursue a 2nd year of Bible training, I decided that I wanted to start my own painting company. My middle son Joshua was born during this time in 1997, & then my youngest: Derrick, in 2002. 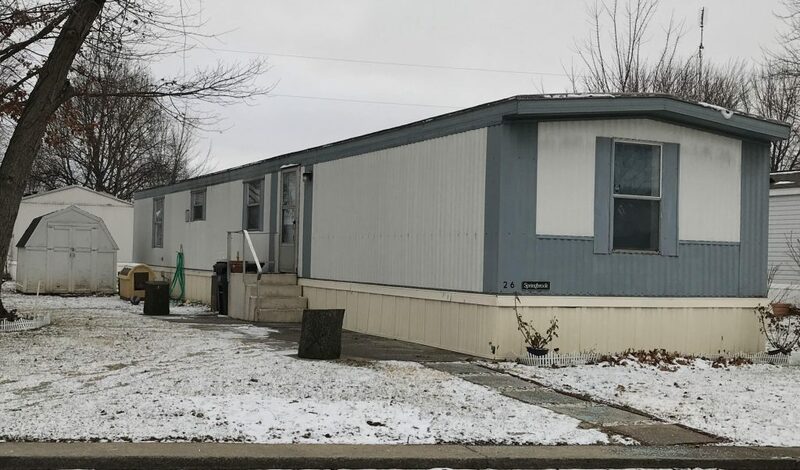 Matthews Painting Company,LLC started in 1998 in the corner of a master bedroom in a white and blue trailer (pictured) with a small shed for storage. After taking car seats in and out every day of an old Plymouth Voyager mini van, we upgraded to an old tan work van (which you will see also pictured behind my children). This included my first magnetic company sign on the driver and passenger door. The branding had started. I began going door to door hanging door hangers, and out of about every 500 homes I would get 1 paint job. I remember having chaffed legs from walking so much, yet refused to be defeated and pressed on. 20 years later we have worked our way up into the high-end residential and commercial painting market. We are now completing around 130 homes a year with 5-8 painters on 3 different painting crews. 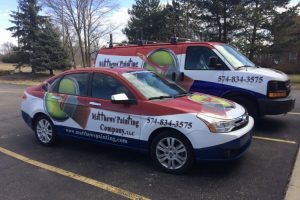 I am very thankful for our painters, for they are the ones that spend the most time with our clients. The Lord has been good. 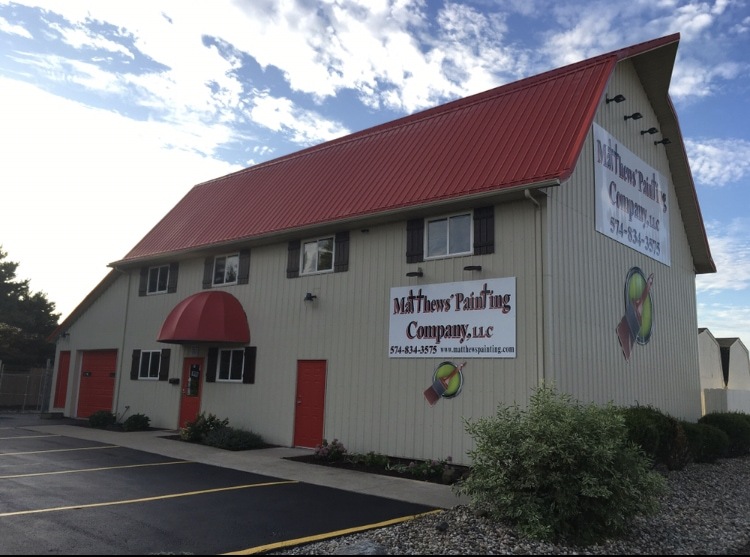 The painting company has grown, but our commitment to quality remains the same. I mainly estimate and advertise the business at this point. 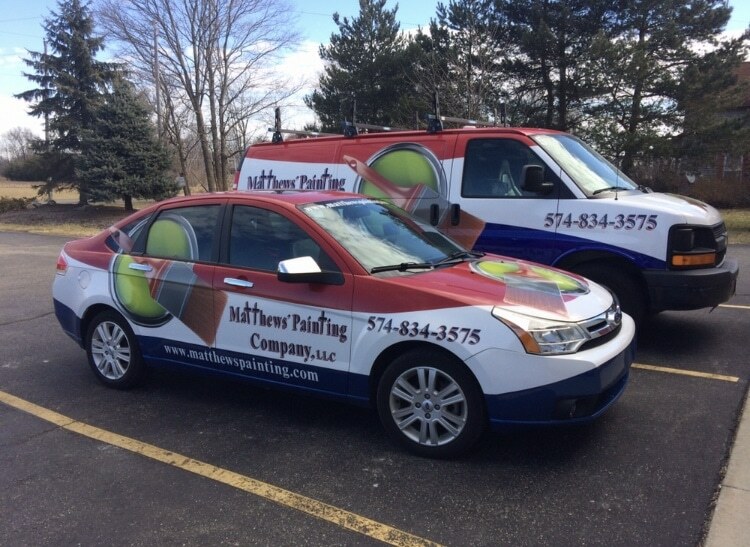 I also train new employees and work along side my other employees from time to time, training them to provide the highest quality and customer service that Matthews’ Painting Company was founded on. We have been gifted with two amazing office managers, of whom I am also extremely grateful for. Without them, we would be nowhere near where we are at today. They schedule estimates, return your phone calls, perform payroll, do all of our book keeping and the list goes on. 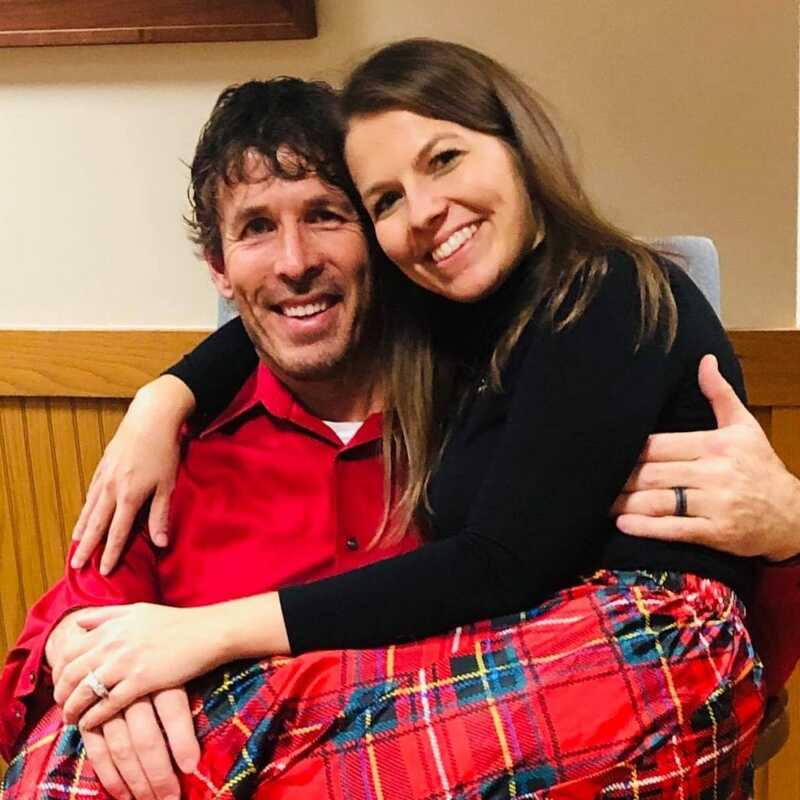 I have since re-married in 2012 to my beautiful wife and amazing step-mom: Melissa, who teaches Pre-K and owns her own tutoring business called Heart of Learning, LLC. She is an amazing organizer and is very supportive and understanding, always coming alongside me in the long days of being a business owner. 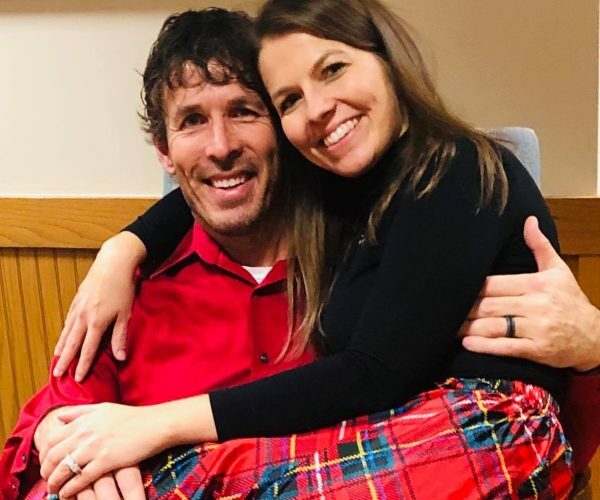 We enjoy our quiet time and laughter together—both in our early mornings and evenings: reading, talking, eating great food from new recipes and spending time with other couples. We have truly been loved well by the wisdom of those who have gone before us, and enjoy a shared vision for mentoring, equipping and empowering others to understand God in a deeper and more meaningful way. My 4 children : Amanda, Andrew Joshua & Derrick continue to make me a proud father, trusting that what has been instilled will return to each and every one of them in their own time. I am thankful to have front row seats in watching their character grow with diligent hands in all they do, despite life’s curveballs. I am ‘Pampa’ to two beautiful grandchildren: Aiden (5) who loves it when I run after him—and of course never catch him, and Aurora (3) who loves dancing and sharing our favorite memories of her putting her head on my shoulder as I sing to her.